We all know how crucial it is to make your content as “rich” as possible. 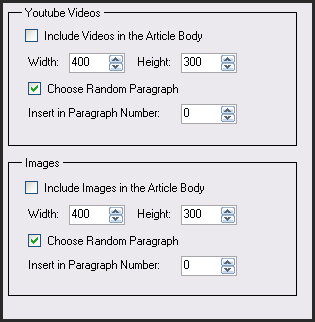 A lot of you have requested that we include the option to insert video and image URLs in the content KM generates. That’s what you will find when you go to “Output Options”. When you select to include videos and images before scraping KM will automatically find relevant media after you press “Generate Kontent” and will place it accordingly in your content. You might be asking “What about the old campaigns?”. We thought about that too, just load the old campaigns, select the video/image options and press “Respin”. It will take a little bit longer than normally but this will be only the first time KM scrapes the media for you. We also thought about the SEO side of things – the alt text inside the image tags will be… your main keyword. Pretty neat, heh? I’ll leave you to play around with the new features and if you have any further suggestions do not hesitate to shoot us an email.